Unleash your power and explore your inner hero with three DC Super Hero action figures together as a team! 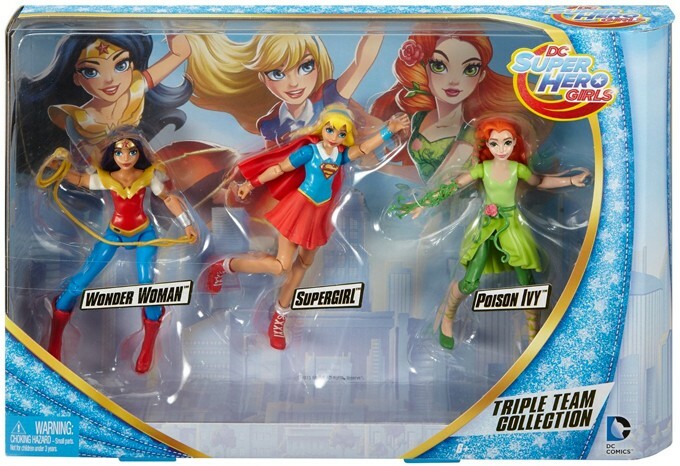 Inspired by the powerful students of DC Super Hero High, these DC Super Hero Girls action figures are ready for powerful fun. Each 6-inch character is highly articulated for powerful posing and creative storytelling. Molded in durable plastic, they can take on Super Hero stunts and portable play. 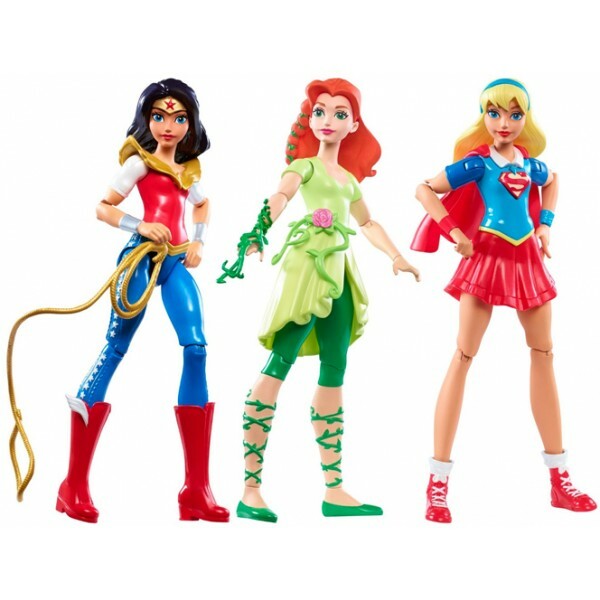 This set features action figures of Wonder Woman, Supergirl, and Poison Ivy. 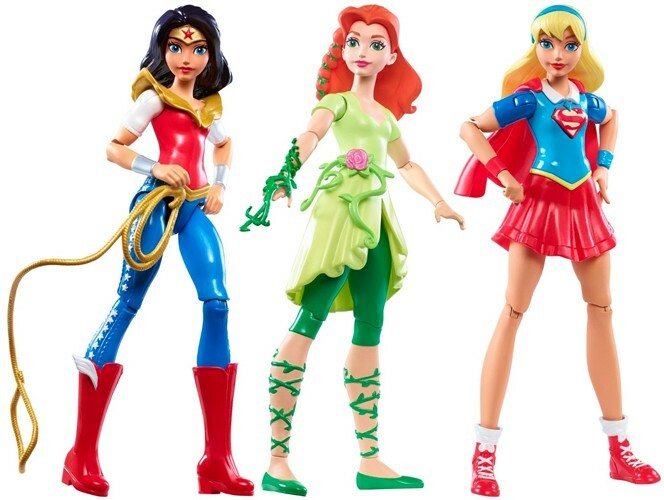 Each figure includes iconic detailing: Wonder Woman has her Lasso of Truth, Poison Ivy has lots of vine details, and Supergirl looks powerful with her recognizable S-emblem.